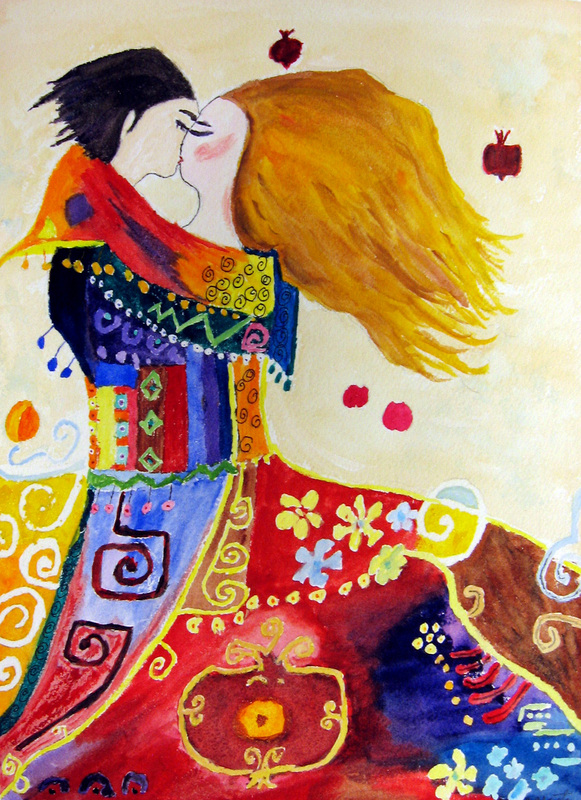 The above painting was created with the use of regular Crayola crayons and watercolor. After drawing the subject, I applied crayon where I thought it was needed. The reference photo does not show all the places I applied the white crayon. 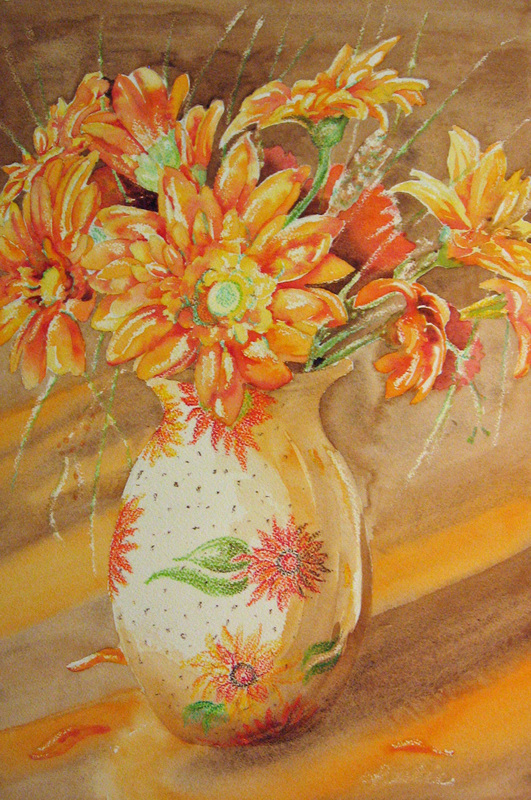 The white was the most difficult part of this painting because it is not visible against the white of the watercolor paper once it is applied. I was able to tilt the board this way and that, under a light, and see some of it, but had to remember where I had gone with it while I worked it in. For this reason, I worked the whites into the surface in one sitting working from the left side of the page to the right so I could remember where I had applied it. 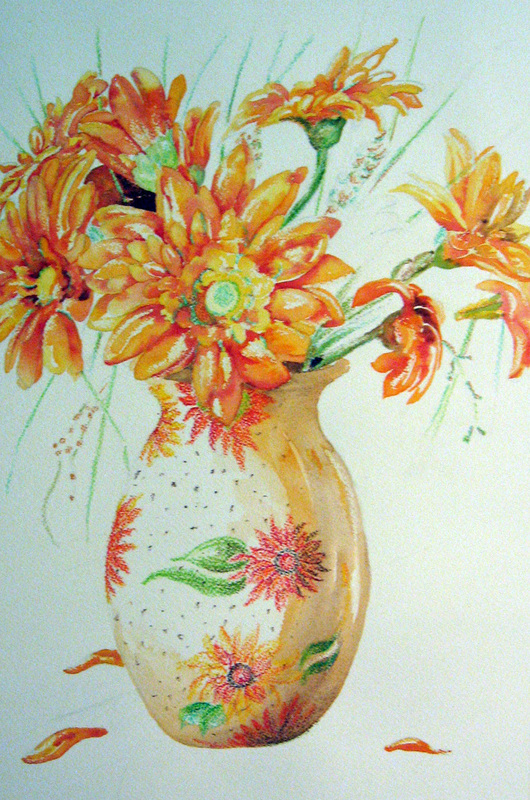 I was able to use colored crayons on the flowers of the vase portion because the base color of the vase was an off white. Crayon applications will be most visible if they are a contrasting value or color to the watercolors you use around them. The wax of the crayons resist the watery applications of watercolor. Also, make sure you apply the crayon to the surface with a lot of pressure. Light applications of the wax crayon does not show up as well because it does not lend enough resistance for the watercolor to slide off its surface. The crayon lays on the top bumps of your textured coldpress watercolor paper ( even more so with rough watercolor paper). This effect helps to add texture to your finished painting. 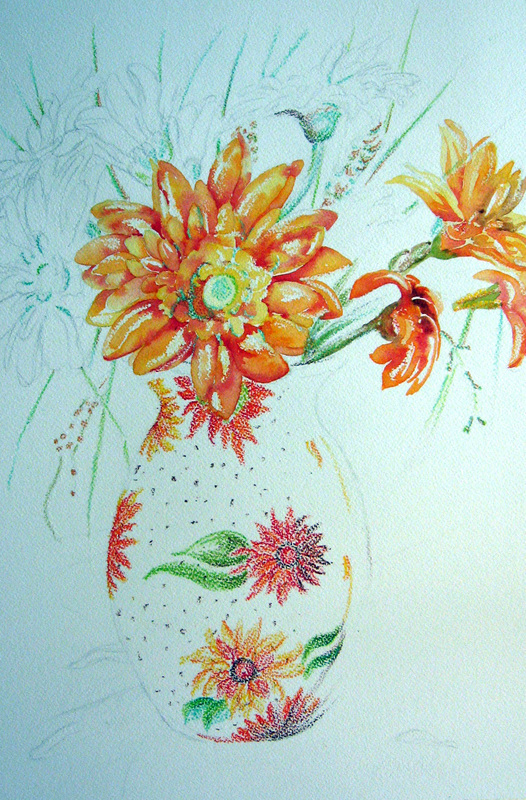 In the next steps, I painted the flowers and vase and few petals laying at the base. 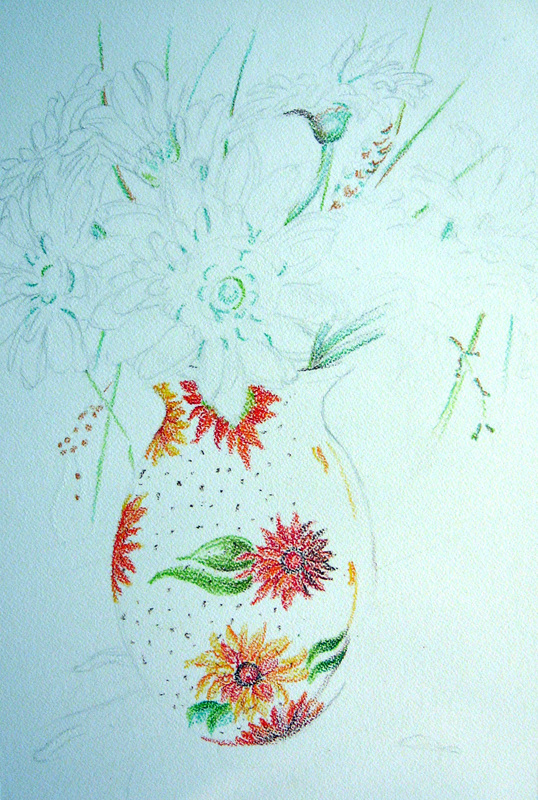 All the speckled whites in the petals of the flowers and strands of spiky grass-like stems are where I had applied crayon. This is the first application of my background. It sort of set the pattern of what I wanted to happen and I waited for it to dry before the final application of color. 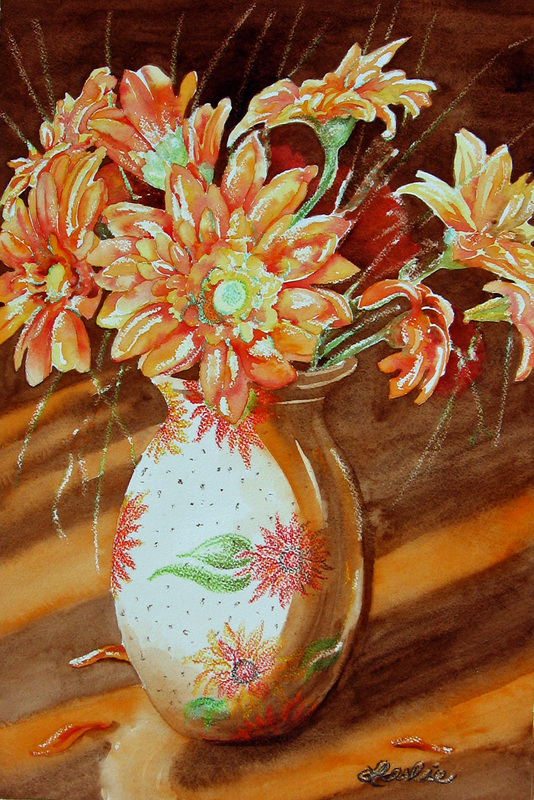 In this final step, I darkened the background and the shaded side of the vase to pop the flowers forward and accentuate the light. I use crayon resist in a lot of my watercolor paintings to accentuate little light spots sparkling off the edges of things, especially if I want it to appear textured. My students created their paintings for this week using wax resist, tape resist or both for this week’s assignment. 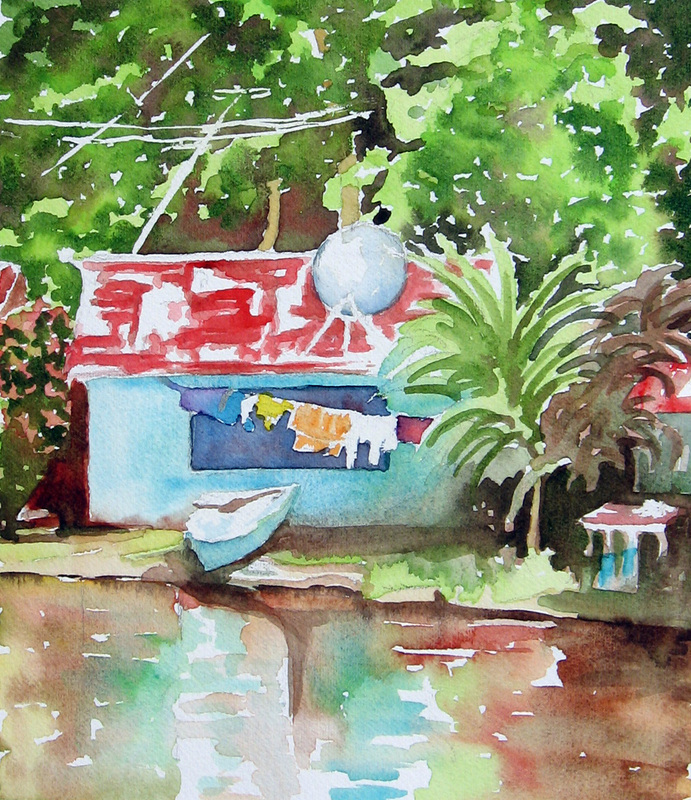 It is a handy technique to have when faced with needing to save whites or add texture to a watercolor. Thank you to Wet Canvas for the photo reference for this piece. Immediately I saw the figure in it and the guitar, the hooded jacket or sweatshirt he was wearing. How exciting. The whole time I’m telling myself, “Don’t ruin him.” I like this idea of working with the elements of composition and arriving at something new. 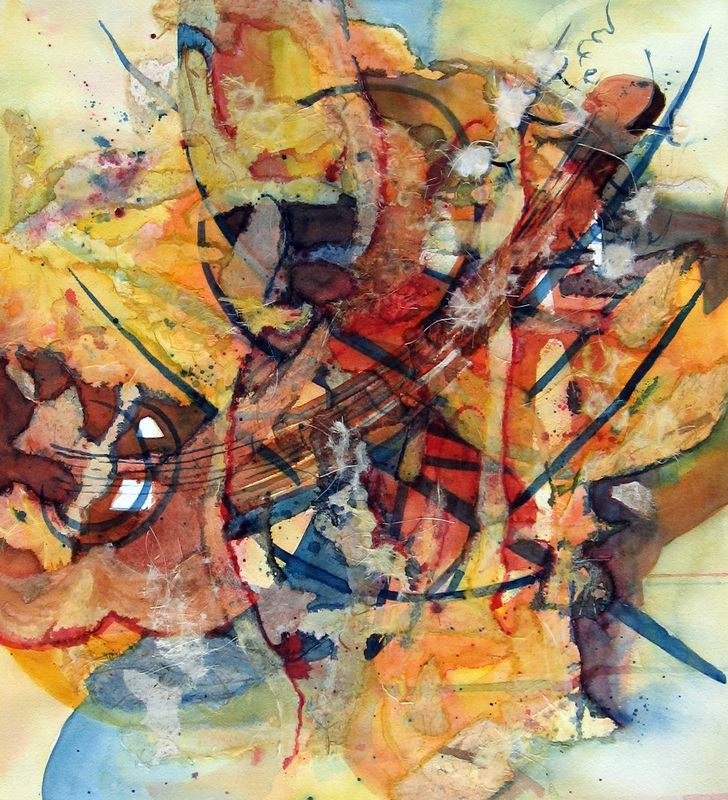 It is as though the mediums and the artist come together and work together, one influencing the other. It is so much more fun! 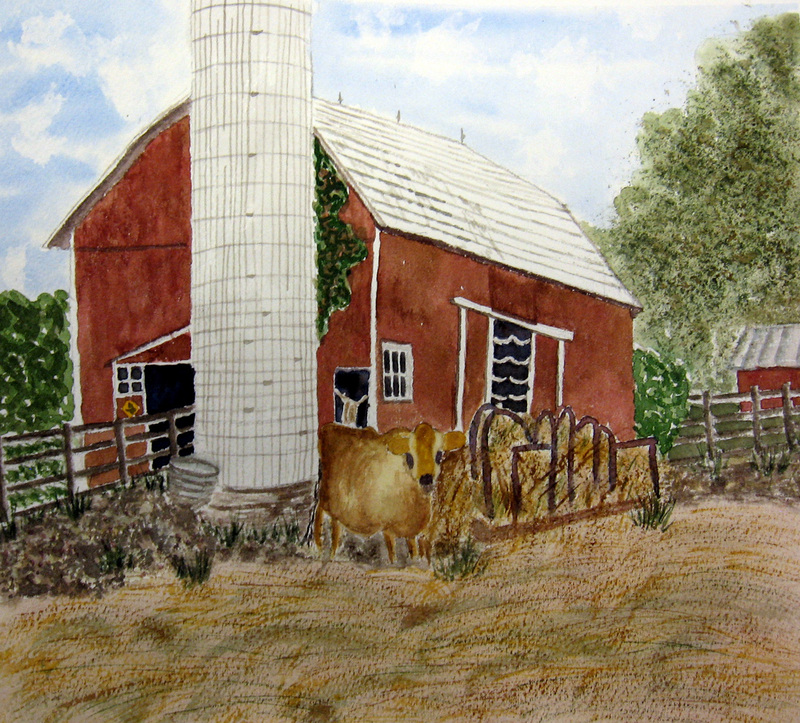 The above three paintings were created in the Exploring watercolor class, this spring. They worked on the basic skills and techniques from learning the different brushstrokes, some basic techniques (wax resist, salt, sponging) and basic color theory. 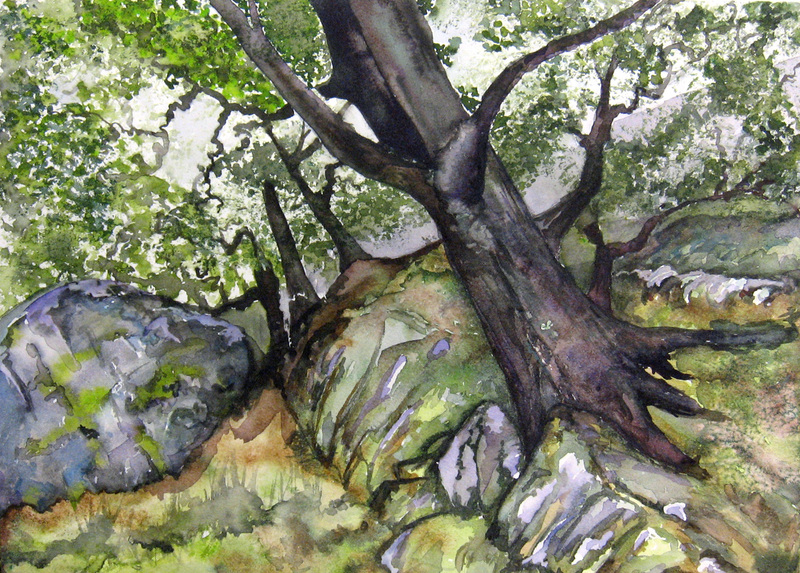 They created paintings of foliage and trees, little people, buildings, and a scene that was backlit. 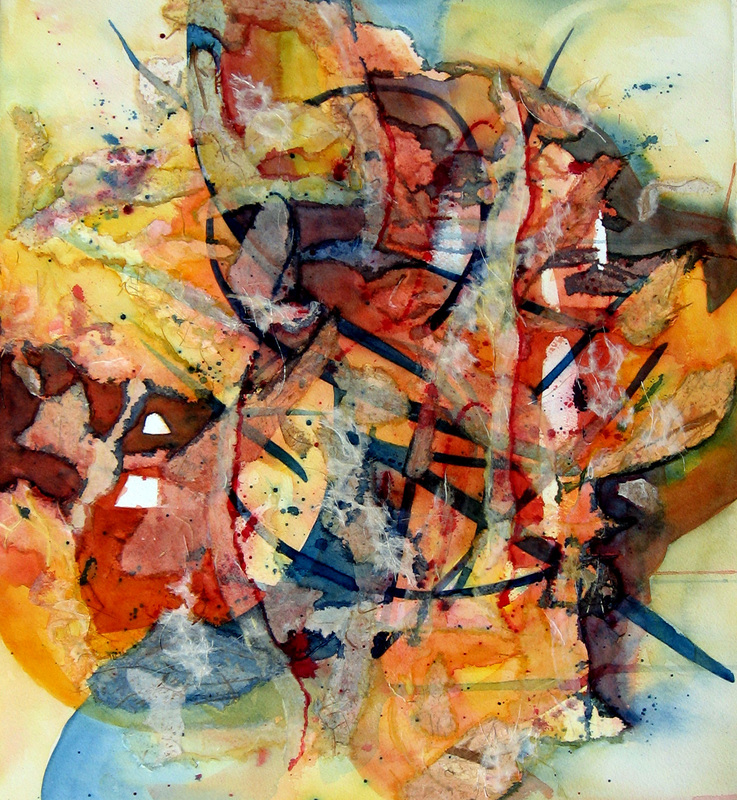 These last three paintings were created in the Watercolor Masa and Rice Paper Collage. 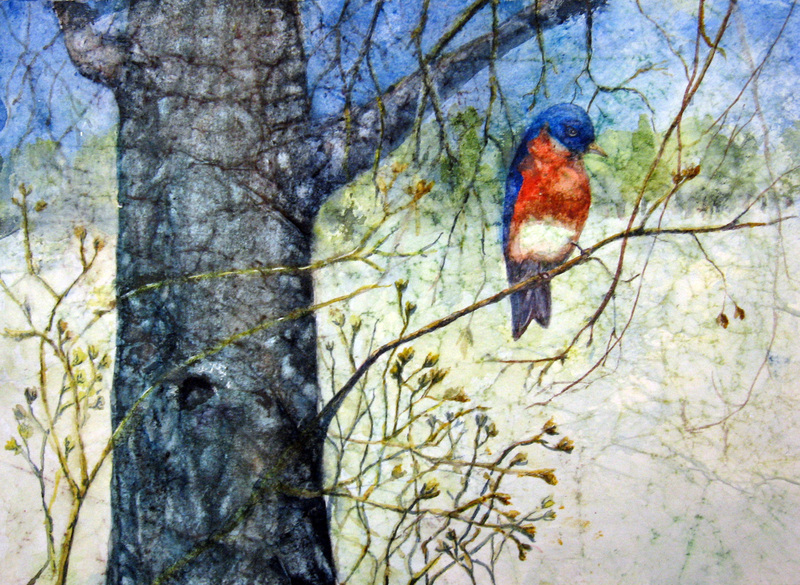 We spent the first two weeks learning how to tone, affix and paint on masa paper. 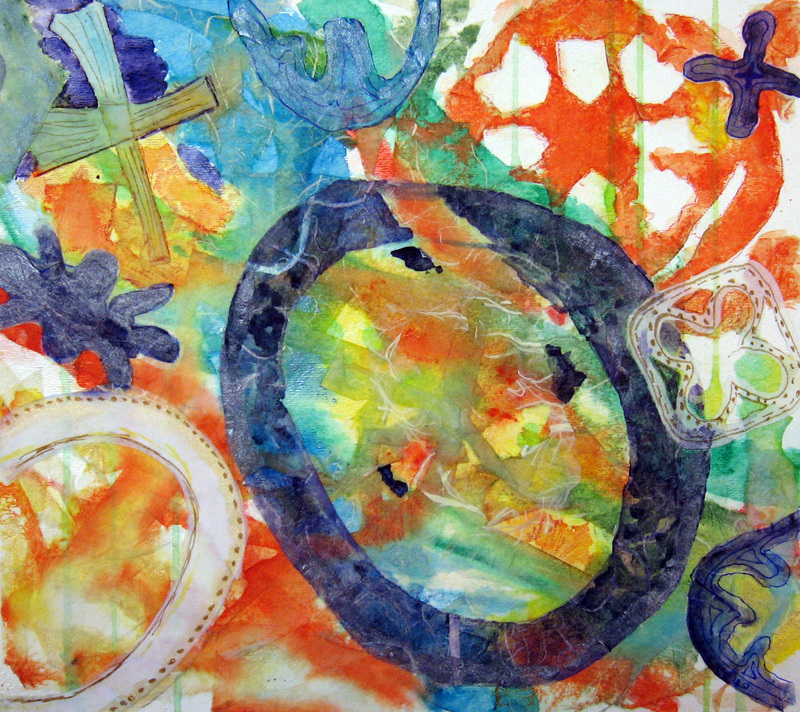 The last four weeks were spent on learning how to use rice paper collage in our watercolor paintings. I think it is one of the most difficult techniques to learn and everyone did great. 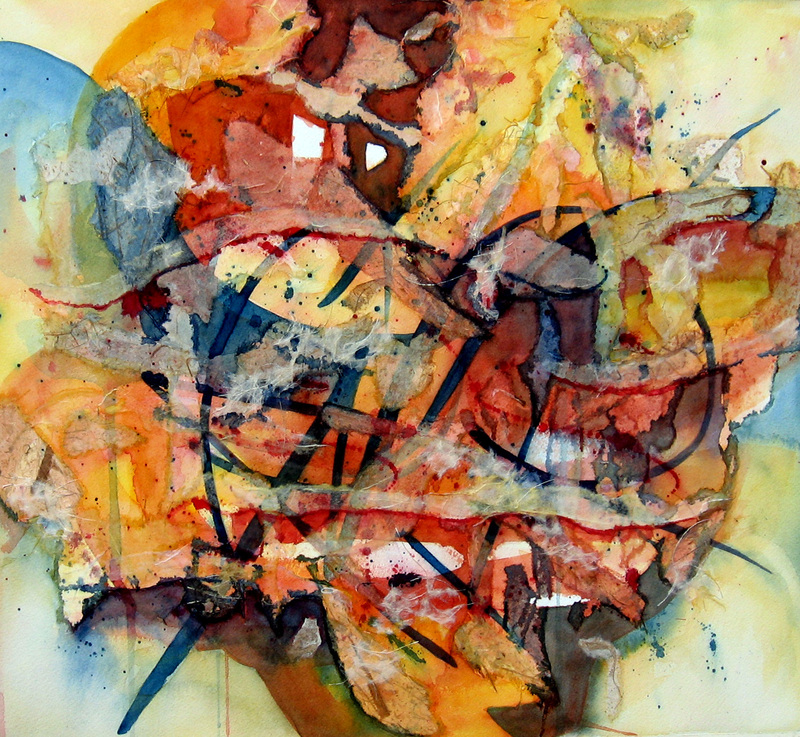 They began by creating abstract rice paper and watercolor collages and gradually moved through them into incorporating collage into realistic images. 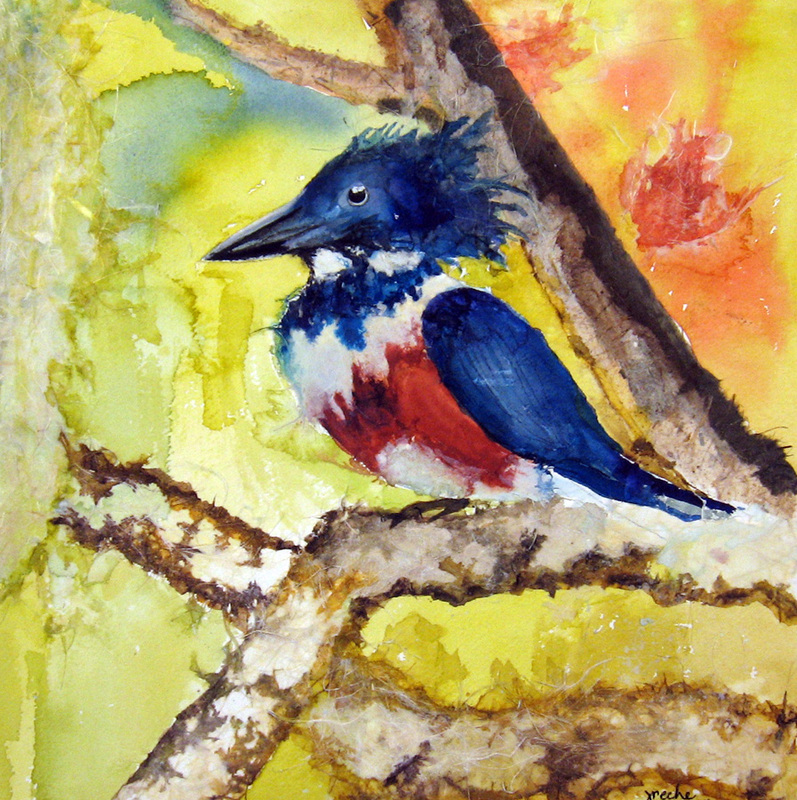 More student paintings from these classes may be viewed by clicking here or clicking on Student Art: Spring Classes in the pages bar at the top of the blog. Thank you to all my students for sharing your work here. The above painting was created from a crop of a photo reference from wet canvas. It cracked me up when I noticed the satellite dish on the roof of the cottage. Just had to crop and paint. I imagined that the fish were caught and cleaned, the wash done and it was time for their favorite show! This was fun to paint. It is small (9″x 7.75″). I gave myself a two hour block of time, scribbled a few guidelines on the format and painted, wet-in-wet, mostly.